Michele Finn Johnson has a new flash fiction, “Darby, Nightfall,” in Boston Literary Magazine. Michele contributed to The Conium Review Online Compendium earlier this year with her story, “DJ’s Addictions.” Congrats on the latest publication, Michele! Zach Powers was in our last issue with “Sleeping Bears,”and he’s back with a pseudo-vengeance in The Conium Review: Vol. 4. The paperback hits shelves November 30th—that’s also when the Collector’s Edition officially goes on sale. 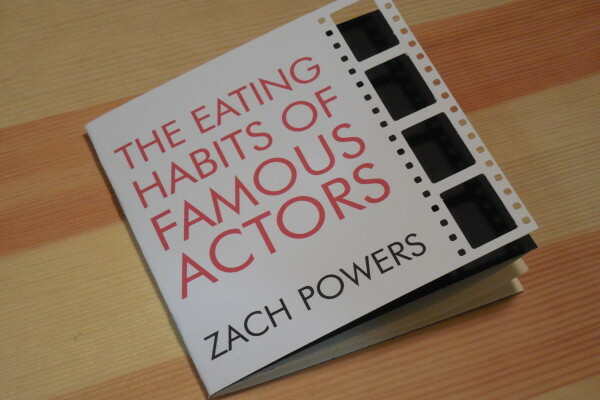 For this year’s Collector’s Edition, Zach’s “The Eating Habits of Famous Actors” appears as a 5″ by 5.25″ 8-page mini-chap. The cover is printed on 90-lb. white index stock. There’s a filmstrip silhouette punched through the paper, showing leaf of 65-lb. black card stock beneath. 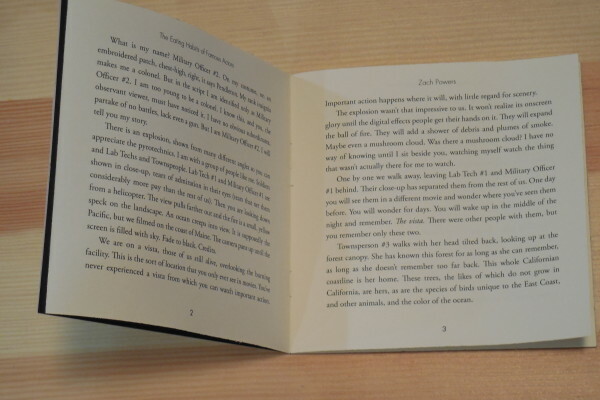 The inner pages are printed on 24-lb. ivory-colored paper. Amelia Gray (our recent contest judge, author of Gutshot, and other awesomeness) is coming to Portland! She’ll be performing at the Late Night Library event, “All Fines Forgiven.” The event is a book-themed variety show, with performances and talk segments. What is Amelia’s segment going to be all about? We’ll see, but our managing editor thinks maybe it will involve knife throwing and/or chainsaw juggling (not making any promises, but not ruling it out either). Other performers include musician Whitney Mongé, Natalie Graham, Carola Dibbell, and Dao Strom. Arthur Bradford hosts. Friday, October 23rd at the Clinton Theater in PDX at 7:00pm. Find more details and purchase tickets through the Late Night Library website. Yvette A. Schnoeker-Shorb has two poems published on the Gival Press website. Read “Little Girls and Tea Parties” and “Noise” here. Yvette’s flash fiction, “Unbecoming Canine,” appeared on our website late last year. 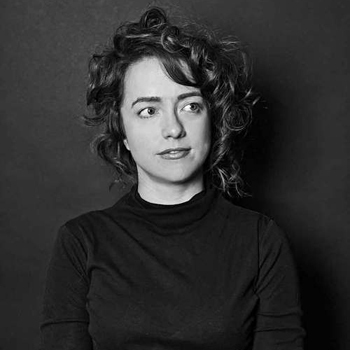 Her work has also appeared in Dark Matter: A Journal of Speculative Writing, The Broken Plate, Epiphany Magazine, Blue Lyra Review, and elsewhere. Congrats on this latest publication, Yvette! Earlier this year, Kayla Pongrac’s chapbook was published by Anchor and Plume Press. 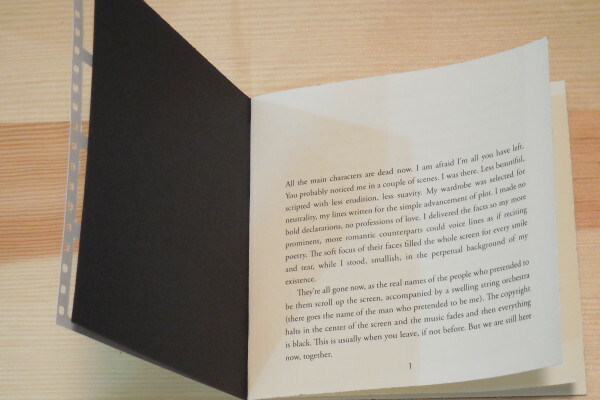 The initial print-run of 250 copies has already sold out! The publisher is holding a second round of pre-orders to help fund a second edition printing. If you didn’t already get a copy of Kayla’s chapbook, now is your chance! The second edition will come with a new piece of writing as well as a broadside signed by Kayla and her illustrator, Shayna Blackford. The pre-order period ends on June 15th. You can pre-order the chapbook here. And be sure to like the Facebook page here. Kayla’s work has appeared on our website in the past, and she has a piece forthcoming in our next print edition (The Conium Review, Volume 4). We’re glad to see her chapbook selling out!